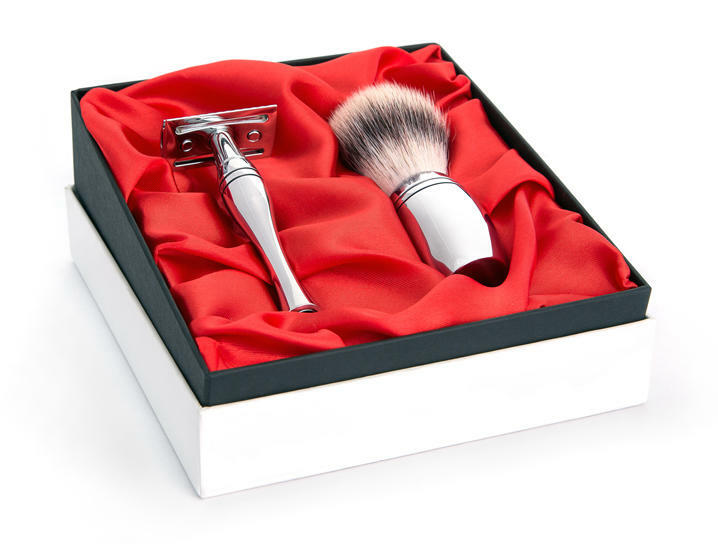 Bringing the razor and shaving brush Collections to market requires time, expertise and dedication. Our manufacturers output detailed CAD drawings of each razor or shaving brush handle for appraisal by the Wilde & Harte team. It's vital that potential obstacles are negotiated at this stage — such as the challenges of manufacturing the striking and unique asymmetrical design of the Apsley razor (no other razor handle design in the grooming market is similar in aesthetic styling). When designs are signed-off, it's time to move production into the factory. A premium grade of stainless steel is essential for manufacturing purposes to achieve the machining accuracy of each item and also to ensure the ultra-bright finish of each razor handle when polished. When the manufacturing phase is complete — it can take a full eight hour shift to manufacture up to 500 razor handles once a machine is programmed — then the items are ready for the finishing process. Only trained, skilled steel finishers with the necessary polishing machinery can achieve the mirror-like finish on stainless steel items. What's more, it can take up to 12 minutes to polish each octagonal Eltham razor handle. The beautifully crafted Eltham, Apsley and Osterley Collections demonstrate the very best of contemporary and classic British product design and high-end manufacturing.